Trailers promised a more mature, expressive and meaningful sequel for 2009's Prototype which is generally referred as a rather half finished game. Well, the trailer lied and even after going through all the trouble of changing the protagonist and leaking all those emotional homecoming trailers, Prototype 2 ended up being similar to the original and lacking in several aspects. 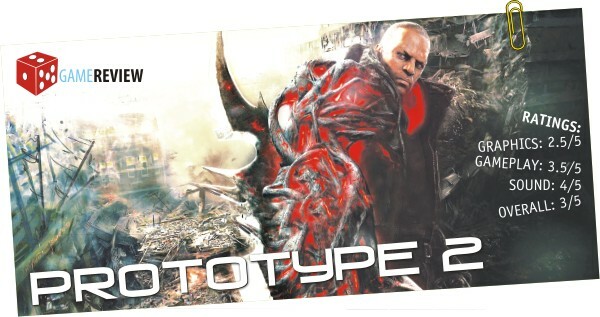 Gamers will play as James Heller in Prototype 2, who is the replacement of Alex Mercer from the original while Mercer plays a dominating role as the antagonist of this installment. Heller's family, victim to Mercer virus (named so as it was released by Mercer himself), forces Heller, a war veteran, to seek revenge. He enrolls to serve in the Red Zone [virus infested New York] but is soon hunted down by Mercer himself. Heller, to his surprise finds a much lenient Mercer who instead of killing Heller, gives him some strains of his power, making Heller an evolved being much like himself and things get complicated from there. The thing you'll notice first about the game is its unimposing graphics. While most games of this era blow our minds off with precise and stunning visuals, Prototype 2 does not reach the mark. The gameplay is pretty much the same as it was for the original with slightly better navigation and dodging, but the missions provided are pretty much the same: infiltrate a base, consume your target and read his memory for your next target while others forces pull the strings of the plot. However, the game is not all bad. Heller is angry and gullible but he made a better hero than Mercer did, who turned out to be a better villain than anyone expected. The combat is much more fun with all the slow motion fighting and dodging and equipped with claws, blades, hammer, whips and shields, it's very compelling to see your opponents cower before your intimidating arsenal. The side missions include clearing out a lair of infected, finding black boxes and wiping out strike teams and these at times are more fun to do than the main missions. Prototype 2 surely isn't one of the best games of the year and you won't miss much if you don't play it but then again, you won't find too many games where useless fighting is this much fun. In the Red Zone, you may find a Blackwatch soldier standing on the edge of a roof who will jump if you approach him. This probably refers to the suicide of various US troops posted in Iraq and Afghanistan. Infamous: Similar sandbox game with lot of gliding and zapping. I never thought I'd like a Channing Tatum movie. He'd always been very high on my list of actors who I would go out of my way to avoid. That is, till I saw this movie. 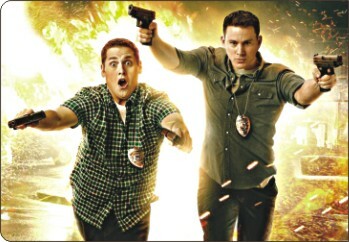 21 Jump Street is a movie remake of the 80s TV show which made Johnny Depp famous. Jonah Hill and Channing Tatum play two polar opposites of the high school food chain who became best friends at the Police Academy. After graduation and a failed bust, they're transferred to Jump Street, a police operation that takes young officers and sends them undercover to high schools. They're sent back to high school to bust a drug ring and after finding themselves in the opposite ends of the aforementioned food chain (Tatum is no longer the cool kid, Hill is no longer the nerd), hilarity ensues. Project X: Same writer, crazy party movie, you know the drill. Superbad: Raunchy high school comedy about three nerds. Involves some of the same actors. The script makes sure this is more than a cheap recycling of a cult classic TV show. The acting is brilliant. Who knew Tatum could be this funny? In the dumb jock role, he pulls a comic tour de force. Oscar nominee Jonah Hill (it is funny saying that) also pulls off a great performance as the nerdy, awkward Schmidt. The supporting characters are just as funny too; Rob Riggle as the loud gym teacher, Dave Franco as the clean-cut, ethical, wicked drug dealer, Ellie Kemper as the infatuated-with-Tatum Chemistry teacher. But it was Ice Cube as the stereotypical badass police chief that stole the show. Johnny Depp also makes a memorable cameo near the end. What this movie lacks in finesse, it makes up in attitude. The exchanges between the two main characters are genuinely hilarious, the car chases and gun fights are reminiscent of Michael Bay and then there are some scenes, like the one where they rob the evidence locker to throw a stoner party, where you can't help laughing. Well worth the length of the movie. Go and watch it. 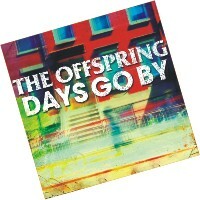 Remember The Offspring? No, you probably don't. They were one of the biggest names in the early and mid-90's punk rock scene and churned out consistently good albums, registering a few massive hits along the way. Anyone who hasn't heard “Pretty Fly for a White Guy” should be smacked on the head for being a pretentious too-good-for-great-mainstream-music-hipster-person. And now they return, middle-aged punk rockers complete with the beer bellies and permanent protruding guts, with their latest album “Days Go By”. Even the album title reeks of mid-life crisis. But the album is quite good, surprisingly; infinitely better than what Linkin Park is doing. Slim Pickens does the right thing and rides the bomb to hell: Once you're past the title, it's a goofy track that fits right in with the classic way that Offspring does things: fast, loud, obnoxious and loads of fun. A good end to an album without a lot of highs. The Offspring might be back, but how long can a punk band from 1984 hold on to fans? Their latest album is still a decent amount of fun considering it was made by a bunch of middle age punk rockers. It might be all downhill from here, so here's to hoping they end on a relative high instead of crashing and burning. The Offspring and their fans deserve better. There are so many things we do not want our mothers to know about. Went to a concert instead of Physics coaching? Don't tell my mother. Secretly threw the boiled egg out of the window? Please don't tell my mother. For soldier turned filmmaker Diego Buñuel, it's visiting war-torn countries whose names frequent in the most terrifying headlines and finding out the subtle uniqueness about those countries, from Israel to North Korea, understanding their culture, their passion and mostly the people, who are far different from what the media portrays them to be. Filmed around the world in 24 countries, each episode tells us the story behind the headlines. This show not only goes to each country to disprove the stereotypes, but instead gives a fresh perspective of the people and what they are doing for each other. For example, the first thing they show about Iran is not their anti-US activities, but their underground rap scene, uniting the youth. The host is genuinely likeable, without even a hint of condescension for the countries and the people he visits. Diego is unafraid to take on any challenges, whether it is dressing up in drag to catch muggers in Dhaka (yes, there is a Dhaka episode! ), visiting the abandoned home of Pablo Escobar in bullet-proof clothes or pretending to be an actor to enter North Korea, his adventures are worth watching. It's also pretty apparent why his mother would freak out if she knew. Don't Tell My Mother used to be broadcast in National Geographic Channel, but to watch the three seasons; it might be better if you visit the national geographic adventure website or YouTube. Jeremy Clarkson: Meet The Neighbours: Jeremy Clarkson visits his European neighbours to find out whether the stereotypes about them are actually true. Witty, with a British perspective of everything. Excellent show. Michael Palin's travel documentaries: The former member of Monty Python travels around the world making documentaries about his travels. Around the world in 80 days, Pole to Pole, Full Circle with Michael Palin, Michael Palin's Hemingway Adventure are some of the remarkable works.